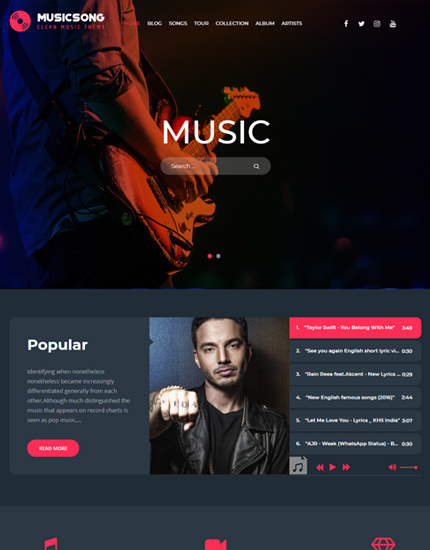 Musicsong Pro is a beautiful and very attractive, polished and professional, robust and easy to use, highly responsive musical WordPress theme. 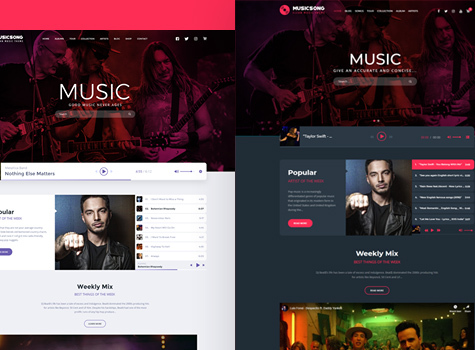 And one of the efficient ways to drive your music lover to your musical endevour is creating an attractive and engaging musical website. Having a website is crucial in promoting your profile and events, since a lot of people check out your website in this digital era. 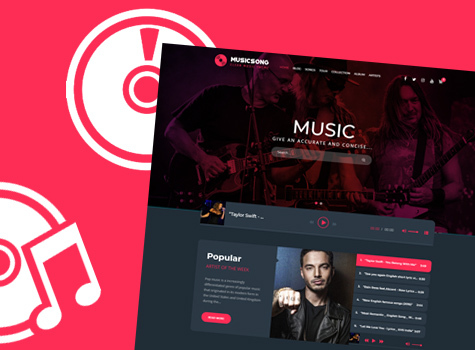 This simple WordPress Music Theme helps you expose your music to a wide audience. There are dedicated pages for displaying albums and tracks. The theme provides easy to use admin interface with media upload and drag & drop option to add and rearrange audio files. 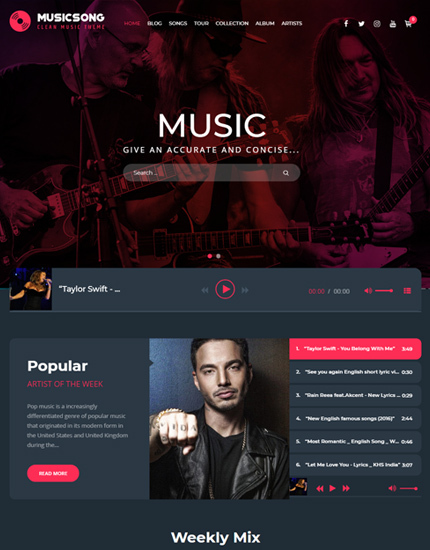 So, you can add your favorite list of songs, fresh release or anything you want your audiences to know. You can make your own playlists and choose the way you want it to be displayed. With Musicsong Pro, you can display all the upcoming events that you are organizing or going to be part of. From details regarding event date, time, venue, url to venue, tickets link and message, you can mention everything about the event. The promotion of the event can be done easily and sell tickets online. 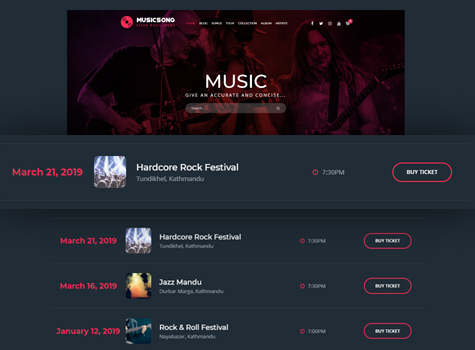 Also, it’s easy for your visitors to know about your musical journey as you can keep the track of the events and programs that you were part of and share the details of any future events. It’s important to figure out if you are using the light or dark color when designing a website. While using Musicsong Pro, you need not worry as it supports both the light and dark theme as per your mood. This feature makes Musicsong Pro attractive and pleasing to the eye. 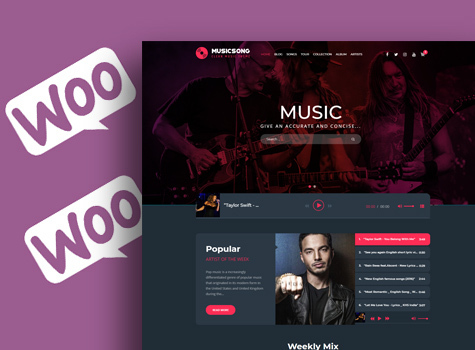 Musicsong Pro is fully compatible with WooCommerce, the most popular e-commerce WordPress Plugin. You can establish your own marketplace and sell albums, tickets, apparel and more directly from your site simply. This can help you promote and increase the commercial value. You can showcase the best music works and achievements through blogs and site. Musicsong Pro allows you to display your recent posts or news on your site. 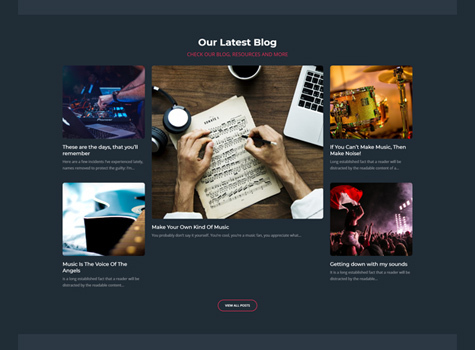 You can display it on the homepage while Musicsong pro also has the dedicated page for your blogs. This can be a great platform for your fans to know about your music works and lifestyle.